This video will make your week. 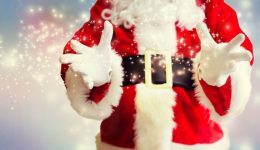 Just because a child is hospitalized during the holidays doesn’t mean they should miss out on Santa. 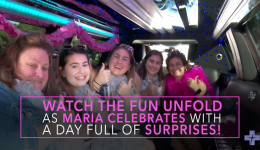 Watch Maria Laskowski, a breast cancer fighter and mother of three, get surprised with a day full of pampering to enjoy with her daughters and best friend. 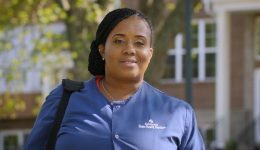 Drive around Chicago’s south suburbs with a registered nurse as she delivers care where her patients need it most – in their homes. 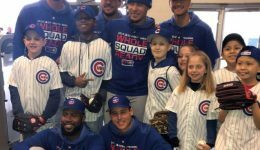 Surrounded by friends and classmates, Daniel Rodriguez re-connects with his favorite Cubs player for the fourth time. 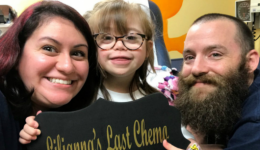 Watch the heartwarming moment a decorated theater director marks the end of her treatment.